In other words, why can’t I just buy seeds, and plant them in the garden? The simplest reason why to start seeds indoors is because most* of us live in a climate that does not have ideal growing conditions for every kind of vegetable. I’ll use two examples: Tomatoes and Broccoli. Tomatoes require an extremely long time to grow from seed to harvest. They are a very tender vegetable that won’t grow well in cooler temperatures–in my area there isn’t enough warm weather to grow tomatoes from seed outside. If I did, the fall frost would come and kill my plants before I harvested anything! Instead, I must start tomatoes indoors (or buy them from someone else who has started them early) and transplant after all danger of frost is past. Broccoli is a hardy, cool-weather vegetable. Where I live we have a relatively short spring, and it warms up quickly. There isn’t enough time for broccoli to grow from seed and reach maturity before the warm temperatures make it bolt and go to seed. I can’t plant it outside any sooner, because the ground is still frozen! So broccoli has to be started indoors (or purchased) and transplanted in the early spring so it can mature before the hot weather sets in. *I would say that this applies to almost all gardeners in the USA and Canada except some parts of California, Texas, and Florida. The lucky gardeners who live there might have a mild enough climate to plant most things directly from seed. Why don’t I just purchase plants at the store? While it’s true that some plants must be started in a controlled environment and transplanted when weather conditions are suitable, that doesn’t mean you have to be the one to grow them from seed. You can simply purchase plants from your local nursery, home and garden store, or catalog and save all the hassle. If you are a beginner gardener, I strongly recommend that you purchase plants! Starting seeds indoors requires equipment, (grow lights, pots, soil, seeds, fan, fertilizer) time, and much devotion to ensure the seedlings are growing well, getting enough light, water and wind. All of this hard work can be lost to disease, accident, or neglect. When should I grow my own transplants (aka: start seeds indoors)? 1. You can’t buy transplants or they are very expensive. It seems like there must be a Wal-Mart in every corner of the universe, but I imagine there are people who don’t have easy access to a nursery or home and garden store. Perhaps the cost of a trip to purchase plants, or the higher prices you pay ordering from a catalog make it worth it to grow your own, instead of buying. 2. You have to grow most vegetables from transplants, making it very expensive. In some areas of the country the growing season is so short that nearly everything has to be put in the ground as plants instead of seeds. While it’s not too expensive to plant most of your garden from seed, and purchase just a few tomatoes and peppers, the price of buying transplants for everything might justify starting from seed on your own. 3. You enjoy starting seeds indoors; it makes you happy. This is the reason I have invested time, energy, and equipment in growing my own transplants. I simply enjoy growing something green while the weather is cold and grey. My itch to garden comes much sooner than the warm weather, and starting seeds indoors lets me scratch it. Not all vegetables need the extra benefit of being planted as a plant instead of a seed. In fact, some plants do not transplant well and should be started from seed. Here is a guide to help you decide. If you’re ready to jump right in, read more about starting seeds indoors. Yes, another wish list item. But I understand what you are asking for and I think it’s a good idea! This is great. 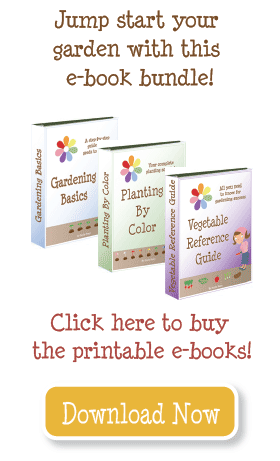 Could you incorporate this information into the spring planting schedule? For example, you could bold the items that you recommend be planted from seed when their week comes up in the plant seeds outside list, and italicize that same plant when it comes up in the start seeds inside or transplant plants list. So helpful! I just found your blog today, but I will be adding it to my list of must-reads. This is my second year planting a garden and my first to attempt the square-foot plan. I didn’t have much success last year, but I really didn’t have a plan, so here’s hoping a plan and your guidance result in a better harvest in 2011! Great website! The reason I grow most of my own plants from seed came from Jim Crockett — the original host of The Victory Garden on PBS. He always pointed out that when you grow your own from seed you can select the varieties you want instead of the varieties that perform best for mass selling. I live in south central Florida and I do buy a few transplants at Walmart or Home Depot but many of their vegetable varieties are not well-suited to the climate here. I asked the sales clerk how they order and she said that corporate headquarters places the orders. We get ours much earlier here but the varieties are the same as the ones my parents buy in West Virgina. I order seeds for varieties that do well here and I like heirloom vegetables too and they are rarely available as transplants (although Walmart does have a few heirloom tomato varieties this year). Awesome website! i had a random thought about basking in solitude under the sun’s glow tending to my garden. i can just picture how great it would be and feel about growing something! very good material and i just wanted to tell you that 🙂 though it will take some time, but i plan to garden when i leave the military and go back home. Potatoes are prone to disease, and most that you buy in the store have been treated to prevent sprouting. Certified seed potatoes will be disease free and ready to grow! I love your guide at the bottom. This will really help me decide which ones I can start in the garden and which ones I need to buy transplants for! Why does one need certified seed potatoes rather than simply planting ones own potatoes that have ‘gone to seed’ or grown ‘eyes’? Thank you for this handy guide. I’m itching to get started in the garden too. Thank you for the info on using grow lights – I’m going to try it this year. I usually use my south window sills. I went to the garden store yesterday and purchased a few window sill size trays so I can start my cabbage and kohlrabi asap (in 2 weeks). I know you shop regularly from Walmart, etc for your seeds and I always get my genovese basil from there – no one else seems to have it. But I’m lucky enough to have a locally owned garden store nearby. Their big thing is selling seeds in bulk. This has saved me so much money. Like yesterday I said I wanted to plant 15 feet of Oregon Sugar Peas and I got a 1/4 lb for $1.50. (I can’t use raised beds because of our fierce wind) I could go on and one but their prices are usually half to a quarter that of the prepackaged stuff you can buy at the big stores. I always ask plenty of questions whenever I go to their store too. I found out the Early Gray Peas are smaller pods than Oregon Sugar Peas which taste better anyway. I found a cabbage that doesn’t bolt as quickly and tastes better. I found out that purple kohlrabi stays more tender than the white. Shop locally if you can – there are so many benefits. This is a very thorough listing. Thanks for providing so much great information!